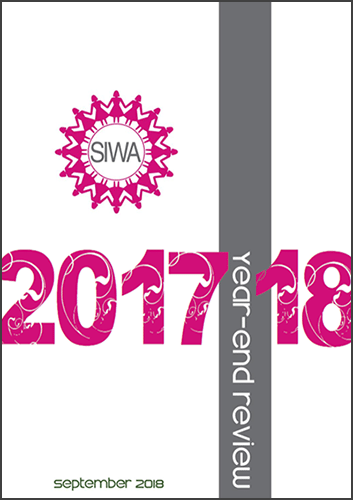 Seoul International Women’s Association experienced another banner year of friendship, enrichment and charity in 2017-2018. We selected All Love School (ALS), an alternative multicultural middle school, as SIWA Philanthropy Project grant recipient. ALS received KRW 20 milllion to initiate and implement programs at the school that are making a difference on the lives of their students. Two additional rounds of funding will be awarded to ALS in the next two years. Philanthropy Initiative was launched with the goal and vision of funding organizations that can deliver measurable, scalable and enduring impact in the community. SIWA is investing in solutions. And we are proud to be part of such solution at All Love School as they equalize the educational playing field for the disadvantaged multicultural students. Run by 100% volunteers, SIWA continues to maintain her strong ties with the host country. Our members planned and executed two flagship fundraising events, 55th SIWA & Diplomatic Community Bazaar and Annual Charity Gala, benefiting organizations that support children and adults with intellectual/physical disabilities, orphans, multicultural students and homeless youth. It is a privilege and honor to be in great company of women who have hearts for others. Our members’ commitment to service is second to none. Our Core Values define our character and ethos, and to further enhance our vision for SIWA, we now have the SIWA Inclusive Statement that explicitly expresses our commitment to the fundamental principles of inclusion. Our members hail from over 40 different countries and the convergence of varied life experiences and perspectives adds significant value to our community and reinforces the concept of inclusivity. I am excited that a new team of leaders is navigating SIWA. On May 1st, I proudly, and with great confidence, passed on the baton to Robin Carney. Under her leadership, SIWA will continue to successfully enhance lives through friendship, enrichment and charity. I hope you will enjoy our second publication of A Year in Review.